Aloha! I hope you have all had a lovely weekend. I am yet again wearing a maxi dress, would you expect anything less? I pulled in the waist using a thin tan belt as I usually do. 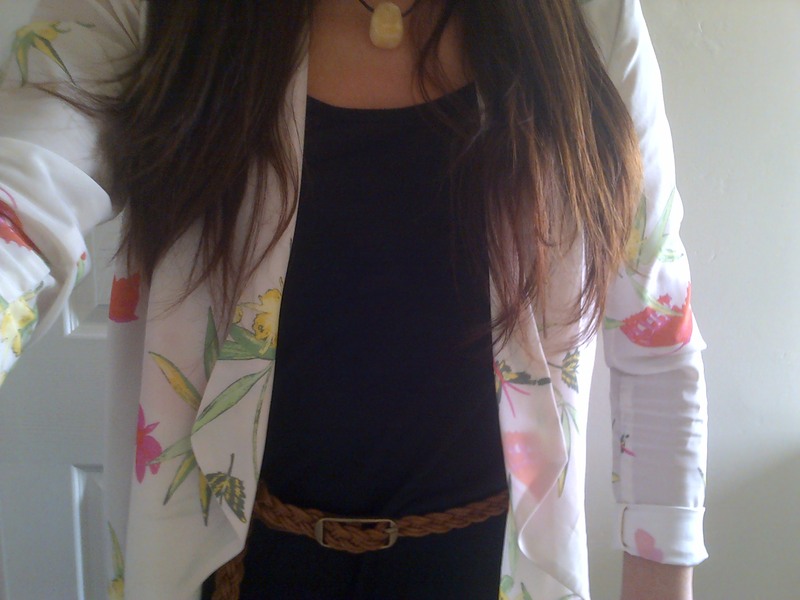 I debated for a while if this beautiful Floral Jacket was a good match for the maxi. I bought the jacket last year & I very rarely wear it. In the end I decided it did work quite well. I felt it brightened up my look & added some delicate prints to the harshness of the black. I also wore a cute yellow stone necklace which matched the yellows in the jacket. 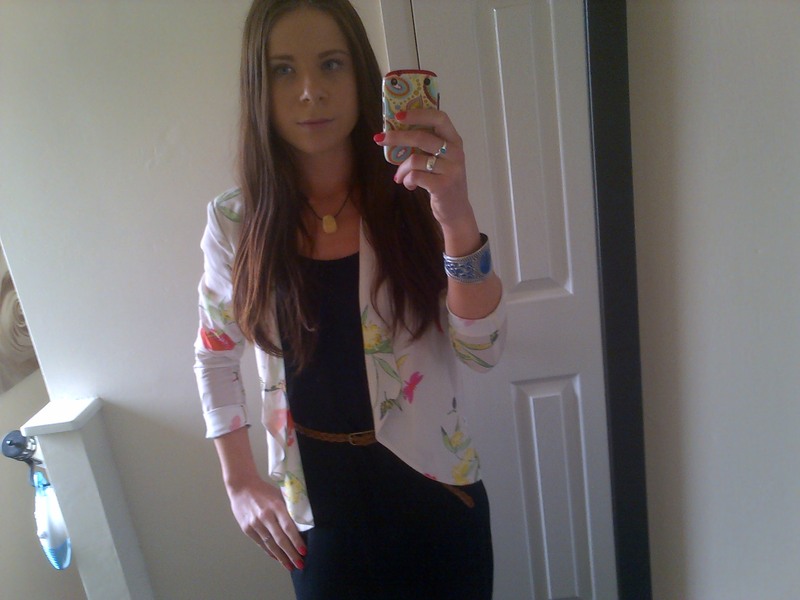 I am going to start wearing this jacket more often, it is too pretty to stay in my wardrobe unused. Oooh that jacket is beautiful! Perfect for spring…it almost looks painted. Thanks for sharing! It is so pretty 😀 I love H&M! Oh you should definitely wear that jacket more often it is so pretty! I’ve never thought of a floral jacket. I like it. It is a lot like the floral cami I just got from target which I’m realizing brightens up any top. I was scared of large floral prints but these two pieces have inspired me.